Your kids will jump and jiggle on jelly to find the letter J in this playful alphabet app full of thinking games and silly characters. Kids join children Beck and Bo on a bike ride to collect the letters of the alphabet. Riding over a stunning landscape made from craft materials, kids use problem-solving to find the missing letters. They will travel to 26 different locations and at each they need to do something to find the missing letter. 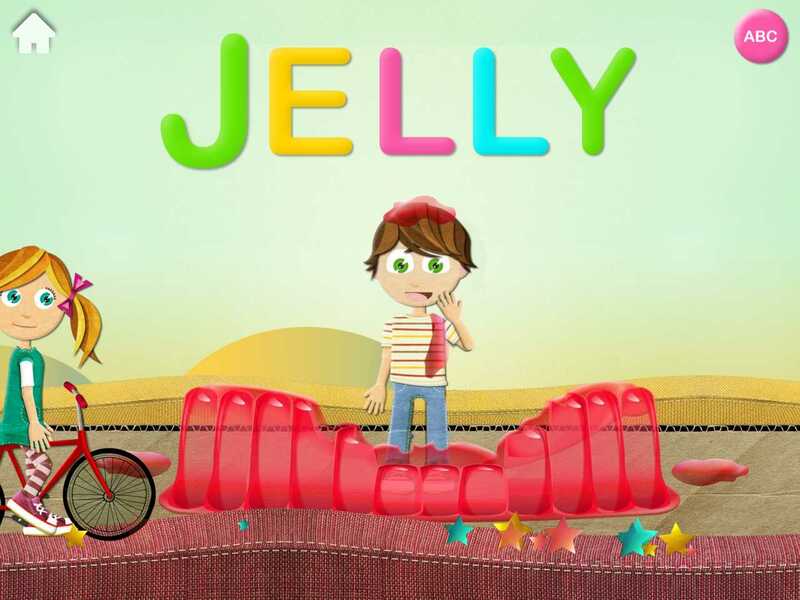 Players will have fun jumping on jelly to jiggle out the letter J, bopping balloons to find the letter B, and dislodging a missing letter K from the pouch of Kent the Kangaroo. At each location on this bike ride, Avokiddo ABC Ride challenges preschoolers to put on their thinking caps. When you arrive at a scene, it isn't obvious where the letter is hiding. Kids need to explore by touching, sorting, or playing games. 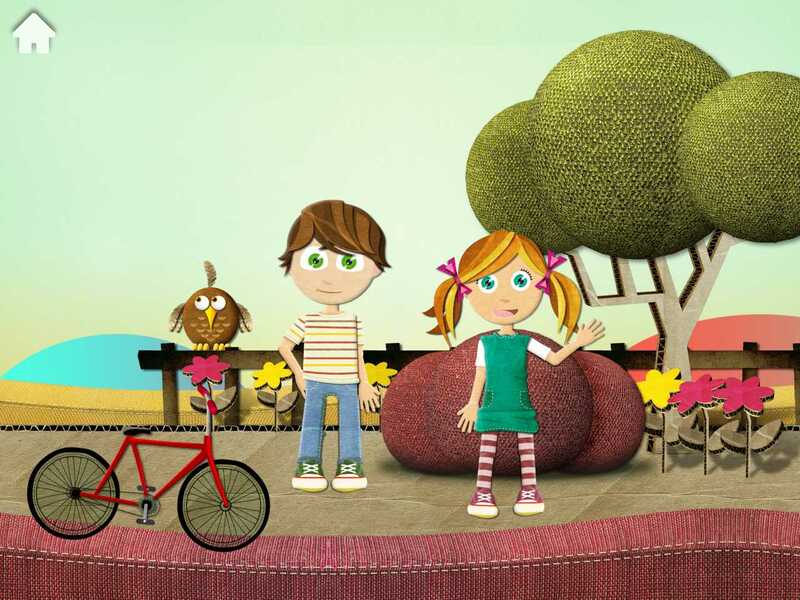 In this way, Avokiddo ABC Ride piques kids' interests by having them interact with each scene to figure out what items can be manipulated or changed. The app also employs the use of clever alliterations to expand kids' vocabulary. 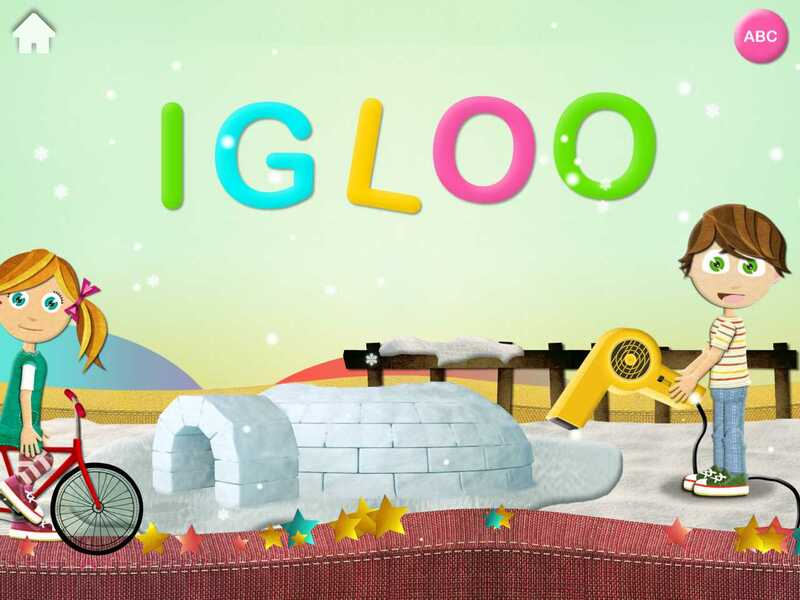 It frequently inserts big words into silly phrases, such as "net the naughty N" and "inhabiting the igloo is an impatient I" Once kids find a letter, parents have the option of having each letter say its sound (rather than its name) as players drag the letters to form words. For very young kids, you can turn off the spelling activity. 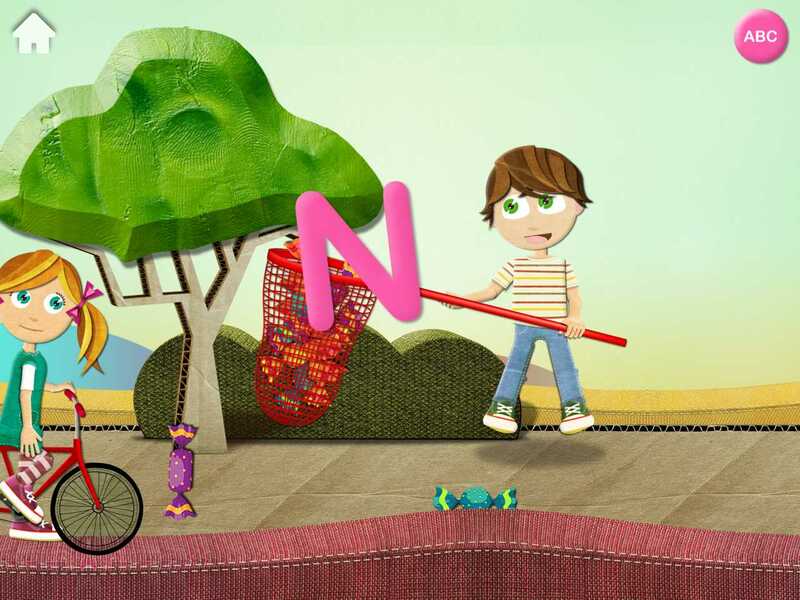 This engaging app turns learning the alphabet into an interactive adventure your kids will want to play. Introduce Avokiddo ABC Ride to preschoolers who are just starting to understand the letters of the alphabet because the app reinforces the letter shapes and sounds.